Now that Kaz can finally pass through walls without feeling all “skizzy,” he can go explore Beckett’s secret room at the back of the library. What he finds there is a mystery he never expected! Kaz and Claire return in a new mystery. This time the mystery revolves around a secret room in the library. For the first time, Kaz is able to visit this room and he and his brother and Beckett discover that the room is full of objects that were originally solid before being turned 'ghostly'. But who did these items belong too? And Claire runs into additional problems when her mother discovers what they are up to and doesn't approve of Claire's talk of ghosts. Butler has kept this series fresh and interesting with each new mystery as well as the ongoing challenges Kaz faces as he develops his ghostly abilities and continues his search for the rest of his family. I've enjoyed following Kaz and Claire's efforts to work together despite the great differences between them and the creativity they have to sometimes employ to solve the mysteries before them. With a lot of searching and a lot of luck, Kaz has found his dog Cosmo, his little brother Little John, his grandmom, and his grandpops. But what about his parents? Or his big brother Finn? Will he ever see them again? 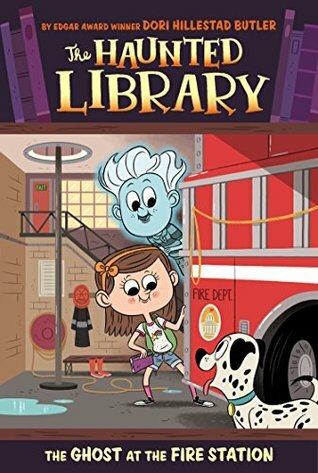 Kaz wants to keep looking for his family, but when Claire hears about a ghost at the fire station, Kaz knows it’s a case for C & K Ghost Detectives! Kaz and Claire are invited to visit the local fire station to help solve a new ghostly mystery. Sparky, the new fire station mascot dog has developed a strange behavior. He refuses to enter certain rooms at the fire station and sits and howls at them. Kaz and Claire as well as the other children involved feel certain that a ghost is involved. Could this be another member of Kaz's family or something much more dangerous? Once again Claire, Kaz, and Kaz's little brother John are forced to use their skills to solve a mystery, but this time the results might not be good. I always enjoy reading this series because despite the supposedly simple nature of the story, Butler keeps up the tension right to the end providing believable solutions and a fun ride. This is a fun series that young readers who like a splash of fantasy with their mysteries are bound to enjoy. 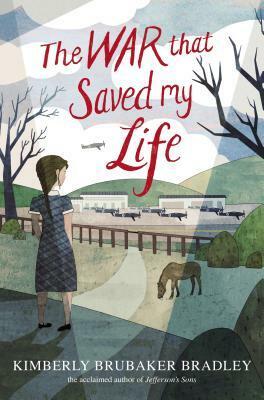 The Newbery Honor–winning author of Hatchet and Dogsong shares surprising true stories about his relationship with animals, highlighting their compassion, intellect, intuition, and sense of adventure. One thing I can say about Gary Paulsen is that he knows how to tell a good story. And the man has definitely had some interesting experiences in his life. This particular book focuses on a few of the experiences he has had with animals. While the stories do get a bit rambling as he alternates between the time of the story and previous experiences, the stories themselves are fascinating. Everything from getting bitten by a rattlesnake to his guard poodle who warned him about a bear, to a very intelligent dog are shared here. 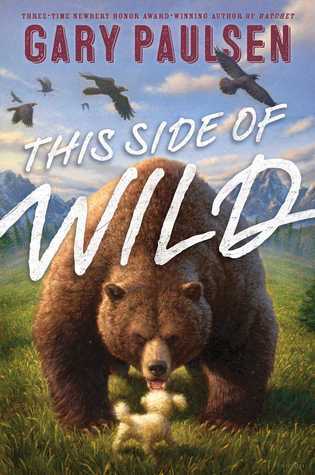 I could have done without some of the language but any child reader who is fascinated by animals (and many of them are) should find something to ponder here as Paulsen shares his feelings about the intelligence and care of animals. Paulsen reminds the reader how much poorer the world would be without our animal companions. This Gingerbread Man was loose in the school and on the fire truck, and now he’s loose at holiday time! “I’ll search on my own, as fast as I can! With all the flavors of the season and generous dashes of kindness and gratitude, the Gingerbread Man’s newest adventure makes for a perfect read-aloud throughout the holidays. Murray's adorable Gingerbread Man returns for the holiday season. This time, he works with his classmates to create gifts for the community workers. Not only is this a sweet book about the value of creating gifts with one's own hands, but also doing kind deeds for others. The inclusion of many different community helpers also makes it valuable book about jobs. As always, Murray's rhymes are fun to read, especially the Gingerbread Man's refrains. 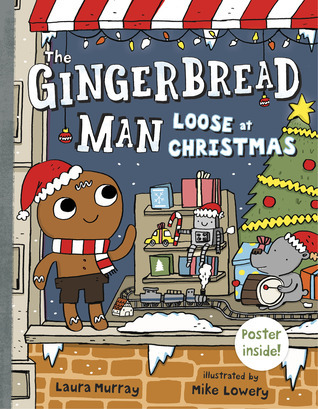 The problem that the Gingerbread Man runs into is solved in a creative way that I really liked. 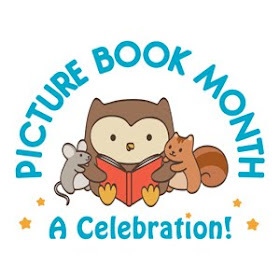 The book also includes a fun poster for young readers to enjoy with activities on the back. A fun addition to any holiday collection. Celebrate ten years of Cork & Fuzz with the best friends' first-ever picture book--a lovely holiday tale. Interestingly, this story is strictly a Christmas one. It does contain a few Christmas season elements such as a bell, and a tree with lights, and a special feeling in the air, but the focus is on the two friends. It's always fun to watch two such different friends interact with each other. 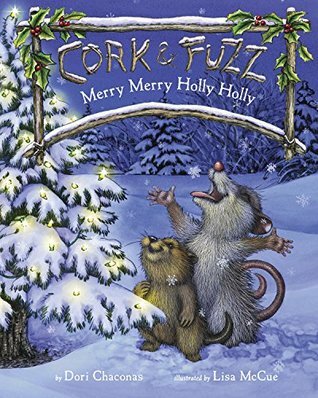 Cork and Fuzz are searching for a piece of quiet so that Cork can think about why the day feels so special, but it isn't until they find a tree with lights that they discover what truly makes the day special. I've always been a fan of McCue's darling illustrations and this book reminds me why. Both Cork and Fuzz as well as the birds and squirrels are absolutely adorable. A sweet book and a nice reminder about the value of friendship. When Mr. Mouse and his family move into the warm spot beneath the kitchen stove in a big house, they discover something new and wonderful: an evergreen tree decorated with lights, ginger and peppermint smells in the air, and cookies baking in the oven. They hear about a child born long ago, and a jolly man named Santa who brings gifts to celebrate Jesus’s birth on a day called Christmas. And so Mr. and Mrs. Mouse decide that their family should celebrate Christmas too. With delightful rhyming verse, detailed illustrations (with hidden pictures to search for! 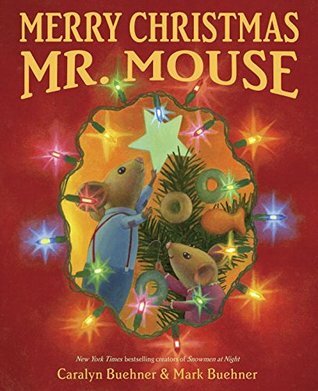 ), and a childlike sense of wonder, the story of the Mouse family’s first Christmas is sure to become a holiday tradition. Another delightful book from the Buehners. This is a sweet introduction to the Christmas holiday, what it means and where it came from. 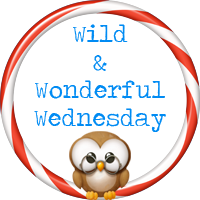 The reader follows the Mouse family as they discover the joys of the holiday season. Mark Buehner has once again hidden certain items in the illustrations that children will be delighted to spend time searching for. And the details in the illustrations are fun to find. With all the rave reviews I've heard about this book I decided it was time for me to read it. And I can see why it's been getting so many great reviews. While it is not my favorite of the year, I would definitely put it on the list of good books published this year. Admittedly I had a hard time with the first part of the book, where Ada and Jamie are still living with their mother. The way their mother treated them was hard for me to read. Child abuse deeply troubles me and so stuff like this is hard for me to read and the same will be true for some more sensitive child readers as well. But I persisted in reading the book and thankfully, Ada and Jamie leave their mother's care quite early in the book and after that I relaxed a bit and enjoyed the book more. Once Ada and Jamie meet Susan and start adjusting to a very different lifestyle and setting (not to mention treatment) I found the story well-told and engaging. Ada's new found dream of learning to ride a pony helps focus her actions and the story as Ada, Jamie, and Susan all adjust to the change in circumstances. At first none of them are happy, except Ada loves the freedom she suddenly has to be herself and try new things. But the adjustment is hard for all of them. Susan is still mourning her friend Becky and isn't comfortable with the children around. Jamie wets the bed and doesn't like going to school. Ada discovers just how much she doesn't know because of her previous isolation. But slowly the three grow to care about each other and adapt to their new lives. But as the war moves closer and Ada grows more attached to her growing independence the threats to their new won lifestyle are very real. And Ada has to face the consequences of the very real abuse she endured. The story is told from Ada's point of view, which works particularly well because the reader gets to have a first-hand look at what Ada's experiences have been and how she changes over the course of the story. I have a great fondness for character driven stories and this one is very much that kind of story. But the experiences she and her brother have as well as Susan and the other people they meet make for a well-plotted book as well. I can see why other reviewers have been talking about this one in regard to the Newbery Medal. I can safely say that I haven't ever read a book quite like this one. While I have read stories about people with unique features or abilities I haven't seen them combined in a story the way this one is. 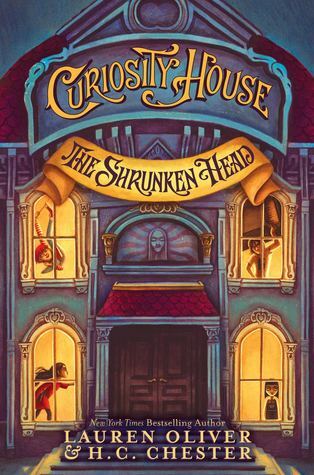 The characters are definitely unique: Thomas who can bend and fit into really small places as well as do remarkable math problems in his head, Pippa who can see what is in other people's pockets and sometimes read minds, Sam, a skinny kid who's incredibly, dangerously strong, and Max, an incredible artist with her throwing thieves and sometimes pickpocket. The other people who live in the Musuem of Oddities with them also have unique characteristics (Hugo, the 'elephant' man, Smalls, the 'giant'). The reasons for the children's unique abilities though surprised me and threw an interesting twist into this developing series. The challenges the children face involve a missing exhibit that was intended to keep a roof over their heads, a murdered janitor, and unpleasant media attention all threaten the 'home' the children have at the museum. And when the museum's owner, Mr. Dumfrey is accused of murder, the children determine that it's up to them to find answers. I wasn't sure I was going to like this at first because the characters are so odd, and I don't mean their abilities. Max is rather hostile, Sam is very shy and love animals, Thomas's ability to squeeze into small places made me a bit squeamish, and Pippa isn't always nice. But as I kept reading, I did develop an affection for these children who find themselves in difficult situations only some of which are of their own making. Middle grade readers who enjoy reading Ripley's Believe It or Not or other weird fact books just might find this a rather intriguing mystery, especially some of the rather unusual things that the children do in the course of the book (such as visiting a morgue). I thoroughly enjoyed this new early chapter book series. Piper reminds me a great deal of other fun young girl characters such as Ramona, Ruby, Clementine, and Judy Moody. All are spirited characters who face life head-on. What makes this series unique is the setting (islands off the coast of Maine), and the concept of the Fairy Tree that gives gifts in return for treasures. As the story opens, Piper's treasure is the pair of earmuffs given her by her brother Eric, who has gone to the mainland to attend high school. When her new teacher wants her to take them off, she determines not to go back to school which naturally causes problems. I found the solution to Piper's difficulties both cute and refreshing. This is a series that is bound to become a classic along with Ramona and Clementine. Book two of Ellen Potter’s charming new illustrated early chapter book series set on an island off the coast of Maine, where kids, lobster boats, and a hint of magic are part of everyday life. Life seems pretty good to Piper Green, her room is getting painted, she had a perfect strawberry for breakfast, and she's got a lost tooth for the tooth fairy. But her friend Jacob tells her that too much good luck can turn into bad luck. And that is exactly what happens when she gets to school and discovers that the class pet has been banished because a new girl is allergic to rabbits. 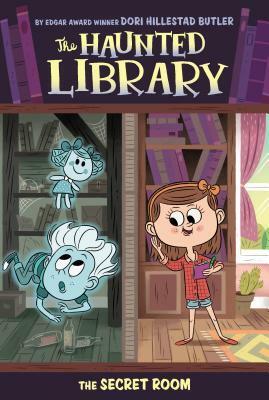 In an effort to get the class rabbit back, Piper lies to the new girl about the teacher, which leads to the new girl running out of the classroom in panic. 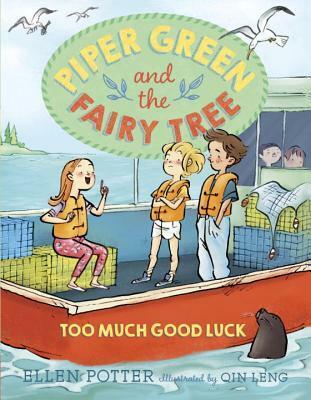 Piper may need the help of the fairy tree to find a way out of this newest pickle. A fun book that young readers are bound to be able to relate too, with themes of friendship, truth-telling, and alternate solutions all coming into play. But nothing would stop their white-whiskered foe. No matter their efforts, he just would not go! There are a lot of different versions of The Night Before Christmas, many of which use the original poem by Clement Moore. But Holub has taken the reader in a whole new direction with her version. Here we have three knights doing their best to guard the king's castle from invaders, when what should appear but Santa Claus. Not recognizing him, the knights do their best to drive him away resulting in some rather amusing hijinks. The play on words and the funny illustrations make for a rather fun read. At the end of the summer, Evie has to make the choice of whether or not to return to live in Ireland with her godmother, Janet..
Evie Brooks moves to New York to live with her Uncle Scott after her mother dies. Having lived in Europe her whole life it is rather a bit of a shock and at first she is eager to return to live with her mother's friend in Ireland. But as she settles into life in New York and her uncle's vet practice and makes some friends she starts to change her mind. On the other hand though, her uncle's girlfriend is a nightmare and is plotting to get rid of Evie. And Evie can't bear the thought that her presence is ending her uncle into bankruptcy. But she is determined to get this woman out of her uncle's life before she goes back to Ireland. While I enjoyed the majority of the story, there were a few things here and there that I wasn't completely comfortable with (a housekeeper that cleans the house in her bra?! and a sleepover girlfriend) that didn't seem necessary to the story. Other than those minor details though the story is an interesting one with lots of interesting animal stories as Evie helps her uncle. Overall a fun read for young readers who are ready for a taste of something different. 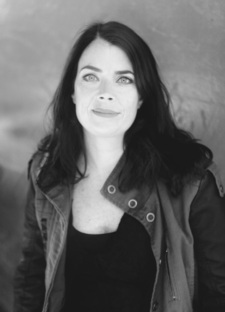 Sheila Agnew is a New York based Irish writer. 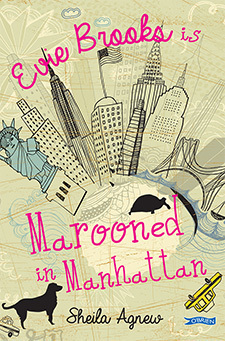 Evie Brooks is Marooned in Manhattan has been shortlisted for the Irish Literary Association’s Children’s Book of the Year, 2015. Evie Brooks in Central Park Showdown is an Irish Times Best Children’s Book of the Year, 2014. 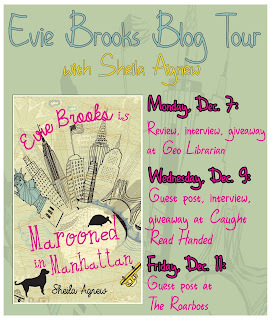 You can learn more about Sheila on her website. *What's the story behind the story? When I was a child, I loved reading James Herriot’s All Creatures Great and Small series (and I loved the BBC TV series, which is on Netflix). They are about James, a young Scottish vet living in the Yorkshire Dales in the 1930’s, dealing with all kinds of animals and their often eccentric owners. The books are full of warmth and comfort and humor. So I wanted to write a series like that but through the filter of my own experiences. The Evie books are set in contemporary Manhattan and are narrated by an Irish girl. Scott and Evie even live in my old building on West 77th Street between Columbus and Central Park West. *What do you enjoy most/least about writing? I love the freedom of writing. It’s your world, your characters and your ideas. There are no rights or wrongs. There are no rules. You get to choose: funny, scary, profound, silly . . . it’s up to you. Sometimes at night I feel euphoric because I think I’ve written a brilliant scene. Then when I look at the pages the next morning, I think: who on earth wrote this rubbish? . . . oh, I did. This isn’t brilliant; this is very, very far from brilliant. So that can be a bit of a let-down. Most people don’t know that I never eat eggs. There’s a great, classic old movie, called “Cool Hand Luke” with Paul Newman. There’s a scene where he eats fifty eggs in one sitting for a dare. I would never ever be able to eat fifty eggs. I can just about manage a bowl of egg-fried rice. I get an idea for a scene and I start by writing that scene and I just take it from there. When I get stuck I go back and look at what I’ve written. Usually I find clues that tell me what to write next. At some stage in the process, usually at the end of the first third of the first draft, I realize how the book ends. Sometimes I even know the last sentence of the book. I love when that happens because it’s a lot easier to get to your destination when you know where you are going. I’m putting the very final layer of gloss on a thriller called The Exclusion Wars. It’s set in 2025 and it tells the story of Mateo, a Latino teenager in hiding in New York. It was a gut-wrenchingly intense book to write. It’s for adults of all ages. In relation to my next project, I haven’t decided yet. I wrote a legal thriller for adults called Stayaway that needs a bit more work, and I’ve written a fantasy novel for children, which needs a lot more work. I think I fell into all the traps of a novice fantasy writer, the hairy teenage dwarf with an attitude character, yada yada. I’ve also started a YA book about two British teenage sisters living in Buenos Aires at the time of the Falklands War, and I want to write a creative non- fiction book about the trip the writer Sybille Bedford took to Mexico in 1946. Gulp. I’ve got a lot of writing to do. Thanks very much for the interview!